The Monetary Authority of Singapore (MAS) and The Association of Banks in Singapore (ABS) awarded 10 FinTech companies a total of S$1.15 million at the FinTech Awards. Organised as part of the Singapore FinTech Festival, the FinTech Awards recognise innovative FinTech solutions that have been implemented by FinTech start-ups, financial institutions, and technology companies. 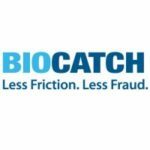 BioCatch™ is a provider of Behavioral Biometric, Authentication and Malware Detection solutions for mobile and web applications. Available as a cloud-based solution, BioCatch proactively collects and analyzes more than 500 parameters to generate a unique user profile. Organizations use the platform to continuously authenticate users during their online sessions, protecting against cyber threats and fraudulent activity, such as account takeover and RAT-in-the-Browser (RitB). Founded by a group of veterans from the FX and Securities Industries with experience averaging 15 years amongst the key members, M-DAQ is a game-changing platform that prices and trades exchange-traded products in a multitude of choice currencies by blending ‘executable’ FX rates into equities and futures products. M-DAQ enables Securities Exchanges to go multi-currency without significant changes to systems and back-end processes, with low start-up and running costs. All investors now, regardless of profile or trade size, can benefit from a multi-bank FX wholesale price in their overseas investment. It is a Game Changer that aims to create a World without Currency Borders®. Pole Star Space Applications Limited is a privately owned UK company that has been providing tracking and monitoring services to the global maritime industry since 1998. From its headquarters in London, and via a network of offices located at key international maritime hubs, the company has earned a reputation as the principal provider of remote fleet management, ship security, Long Range Identification and Tracking (LRIT) and fisheries monitoring services. 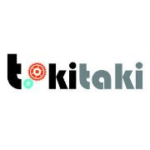 Tookitaki is an automated predictive analytics startup. The platform is disrupting the predictive modeling space through its end to end software distribution and its self learning capabilities. The platform connects data science and engineering team to build a production ready predictive service environment handling massive data sets at 1/3 time and resources. Turnkey Lender is a “cloud” system for automatic borrowers’ evaluation, decision making and automation of all processes in online (and off-line) lending which is ideal for consumer lending, leasing companies – financing expensive purchases, MFIs, student loans, mortgages, SME lending, auto loans etc. 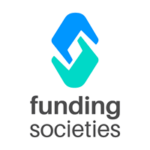 Funding Societies is a friendly online platform for SMEs to acquire loans to fuel their growth and for investors to crowdlend the SME loans and earn returns of up to 14% per annum. 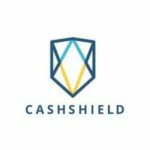 The innovation that CashRun pioneers also caught the eye of the Singapore Government. 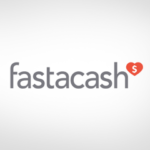 In November 2012, CashRun was awarded a research grant to further develop CashShield. CashRun has also been featured in the Business Times in 2014 and won the OCBC Bank’s Emerging Enterprise Awards in the same year. 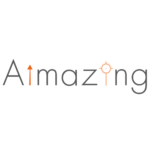 Aimazing is enabling any smartphone to conduct mobile payments, by using SoundWaves. They offer an SDK for mobile wallets or any relevant applications, to encrypt and transfer information between devices, with sound. 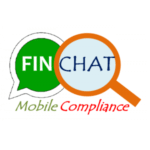 FinChat Technology offers web-based and mobile-based compliance tools where business chats are monitored while private chats remain private. The FinTech Awards received over 200 global submissions, with the bulk coming from Asia Pacific, and the list was narrowed to 40 finalists. The winners were selected by a panel of 13 judges, representing a cross-section of international and local experts from the private and public sector. The entries were evaluated based on criteria such as impact, practicality, interoperability, and uniqueness and creativity. Please refer to Annex B for the list of judges. Mr Ravi Menon, Managing Director, MAS, presented prizes to the winners of the Global FinTech Hackcelerator, which was earlier held on Tuesday. The top three teams each won a cash prize of S$50,000. (1) FinTech project implemented in any part of the world by any company. (2) Singapore-based companies of any size. The company must have a physical office registered in Singapore, and the solution must have been implemented in Singapore. (3) Singapore-based SMEs (Small-Medium Enterprises). SMEs, as defined by SPRING, are enterprises with an annual sales turnover of not more than SGD$100 million OR an employment size of not more than 200 workers. Enterprises qualify as SMEs as long as they satisfy at least one of the two parameters. (4) Singapore-based SMEs with at least one Singaporean founder. The term ‘founder’ is defined as an individual who was instrumental in setting up the SME. There is no need for majority share-ownership. The SME must have a physical office registered in Singapore, and the solution must have been implemented in Singapore. 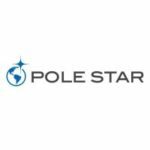 Pole Star Space Applications Limited is a privately owned UK company that has earned a reputation as the principal provider of remote fleet management, ship security, Long Range Identification and Tracking (LRIT) and fisheries monitoring services.